This is my third post about my 4 days in Brussels, and I haven’t even talked about the Tintin Museum (or the weird city, Nouvain le Neuve, where its located) or Ghent, which is possibly one of the most beautiful places in the world. 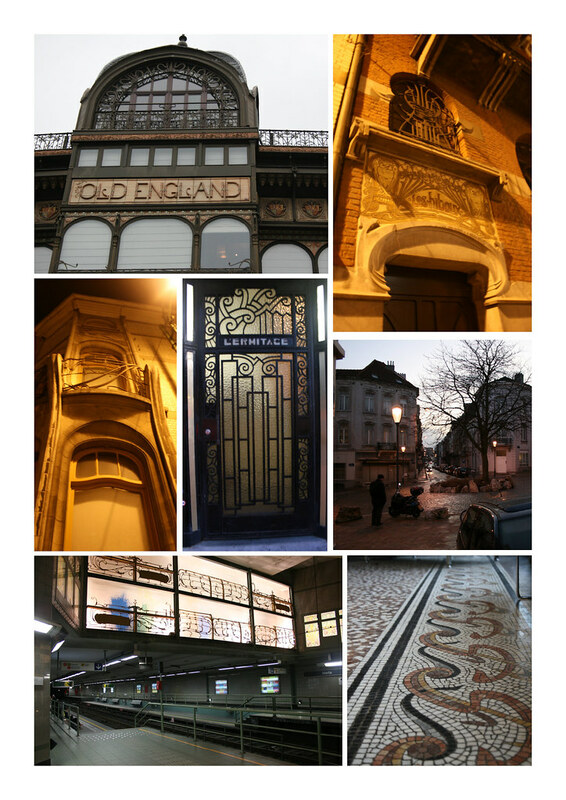 While in Brussels, we searched for every Victor Horta building we could find. Apparently the city went through a heritage-trashing phase in the 1960s, and a lot of incredible old buildings were lost. But many have been reused – an old department store became the Comic Book Center, and the Musical Instrument Museum, which is surprisingly cool, is in an old Horta commercial building as well (that’s the floor in the lobby on the bottom right, above). And some of the detritus from the buildings that were destroyed have been re-purposed, most notably in the Horta Metro Station (above). I couldn’t believe how many beautiful details there were on even the more mundane buildings – incredible balconies, transom windows, doors, ironwork…its so sad that Art Nouveau was so short-lived as a movement, even if it is decadent and wasteful. I love it. 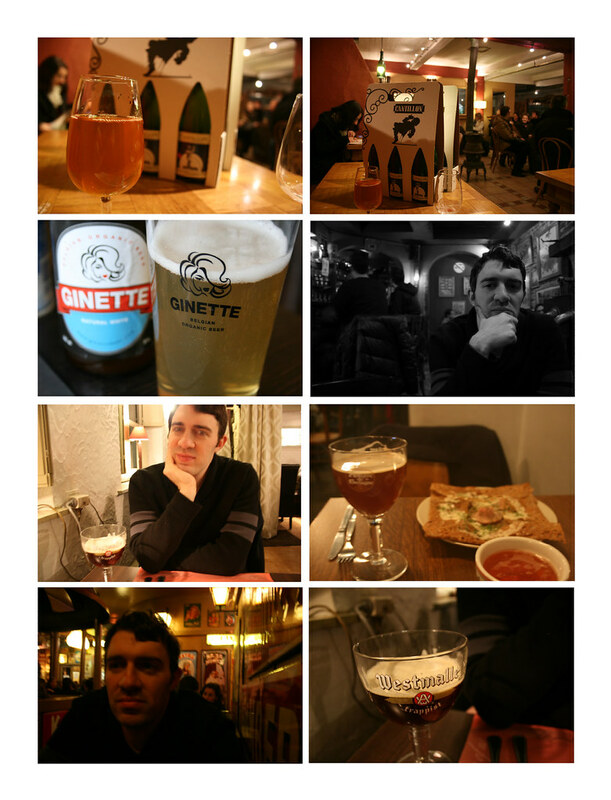 The other highlight of the time in Brussels was the beer. Belgian-style beers are called lambics, and use open-air fermentation. That means they just let the beer pick up whatever yeast happens to be floating around in the air and ferment that way; the result is a sour sort of flavor (seeing as its the same process used to make sourdough, that’s not surprising). Lambics are often sweetened with sugar or fruit, but we brought home 5 bottles of the darker stuff (our favorite, Faro, can explode if not consumed in 2-3 weeks, so maybe its just as well that they were sold out). The drinking in Brussels was awesome. We went to the Carillon brewery (loved it. Amazing. Don’t miss it); the Delirium Tremens complex (five bars adjacent to each other, all selling Delirium products); and to a number of other more low-key establishments, including a crepe place where I got cider in a teacup. I thought that was delightful. We also tried ginevre, a Belgium gin-derivative that is delicious if you like the taste of paint thinner. And the best part is, it was super cheap (the beer, not the paint thinner). I hadn’t anticipated taking multiple trips to Belgium, but we are talking about a trip to Luxembourg via Belgium, if only to stop off and bring more beer home with us.